At Medlin Mazda, we hear all the time how difficult and stressful the car-buying process can be. With so many options, it can be overwhelming for drivers to have to research every possible choice and compare them themselves to find the right model. Now, with the 2019 models beginning to become available, each claiming to be the best, the process is even more difficult! But, don’t worry, that’s why we’re here to help! We believe that Mazda offers vehicles with the best value regardless of class, which is why we’re not afraid to put Mazda models against the newest competition to see how they stack up! For this comparison, we’re going to compare the 2018 Mazda CX-5 and the new 2019 Toyota C-HR, two very popular SUVs. We’re going to look at the efficiency, performance and interior space. Note that we’ll be comparing the base trims for both models. Let’s see which SUV comes out on top! 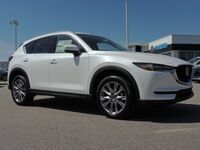 Test Drive the 2018 Mazda CX-5 at Medlin Mazda in Wilson, North Carolina, Today! As you can see from our table, there’s plenty of good reasons why both the 2018 Mazda CX-5 and 2019 Toyota C-HR are so popular! Both offer solid efficiency along with good performance and spacious interiors. However, when looking at the two side-by-side, there’s no doubt that the 2018 Mazda CX-5 jumps out as the superior model. In terms of combined fuel economy, the 2019 Toyota C-HR holds the slightest edge over the 2018 Mazda CX-5. However, when you look at the context of the rest of the vehicle for both the Mazda CX-5 and Toyota C-HR, that edge becomes less impressive. 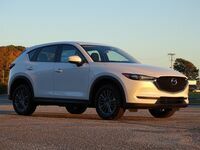 The 2018 Mazda CX-5 offers substantially more horsepower and torque than the 2019 Toyota C-HR. Not only that, but the 2019 Toyota C-HR is also much smaller than the 2018 Mazda CX-5, evidenced by its smaller interior cargo volume. Considering how much more powerful and bigger the 2018 Mazda CX-5 is than the 2019 Toyota C-HR, it’s a wonder that it can even offer a fuel economy that’s even close to the Toyota C-HR. 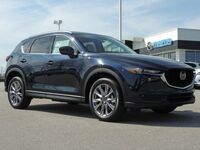 With the 2018 Mazda CX-5, drivers get a more well-rounded vehicle that offers efficiency, performance and space, rather than just efficiency like the 2019 Toyota C-HR. 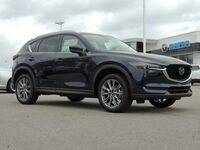 Want to learn more about the 2018 Mazda CX-5? Ready to get behind the wheel of one? Contact our staff at Medlin Mazda in Wilson, North Carolina, for more information or to schedule a test drive today!